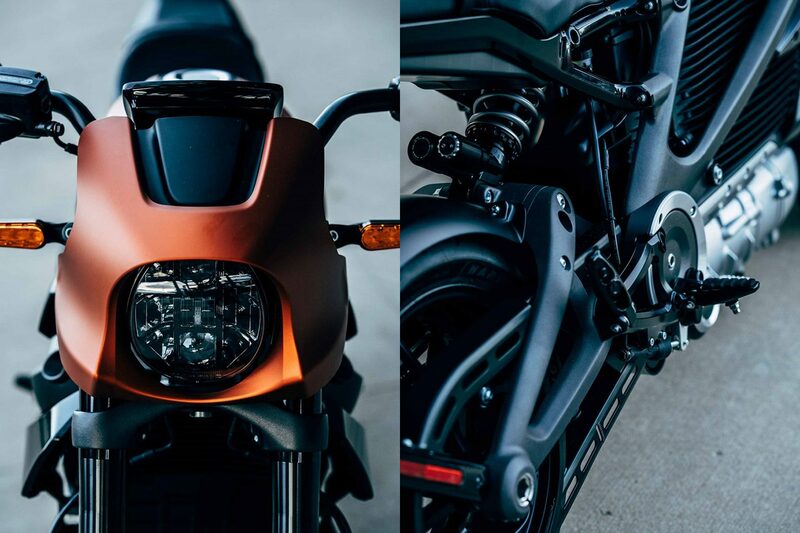 The LiveWire is sportier than any previous Harley-Davidson motorcycle. The fairing and the raised stern offer a unique café style, while the aluminum chassis and swingarm look very modern. Harley-Davidson promises a completely new driving experience: no clutching, no shifting. Just accelerate. 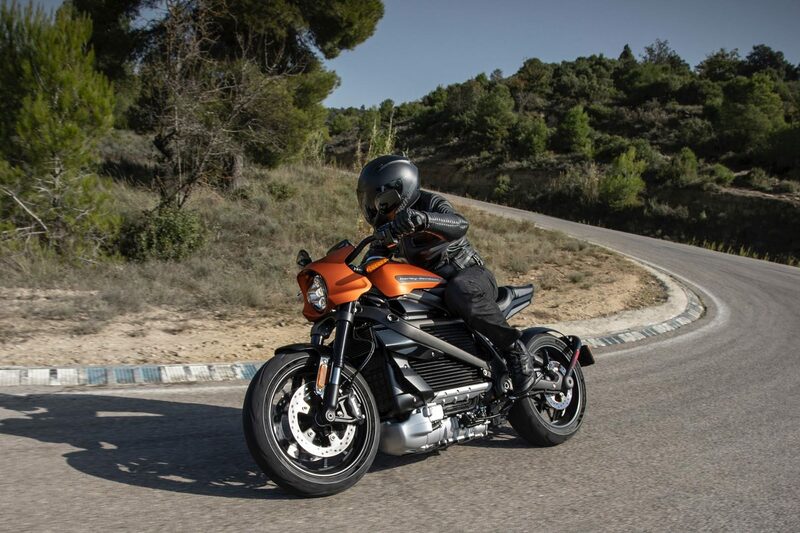 The motorcycle offers seven different driving modes that adapt to the driving style. Of these four driving modes are set ex works, three can be customized. 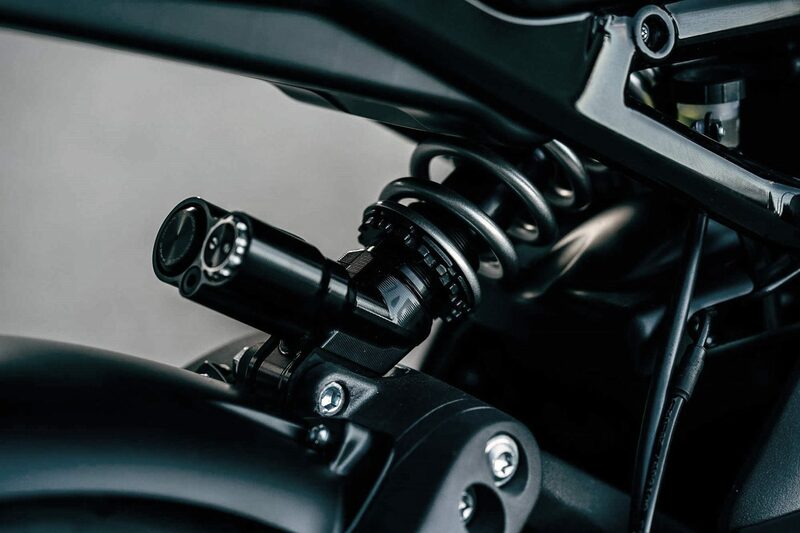 The fully adjustable Showa suspension front and rear should provide with the adjustability for a perfect handling. The standard traction control system and the brakes with curves ABS are to convey an extremely safe driving feeling. We are very curious how this vehicle moves on the roads! One of the most important questions with an electric motorcycle is the given or not given infrastructure with which the bike has to be operated. The LiveWire has a rechargeable energy storage system made of lithium-ion cells in a ribbed aluminum housing. While a main battery powers the engine, the bike is also equipped with a smaller battery for the light and other small systems. 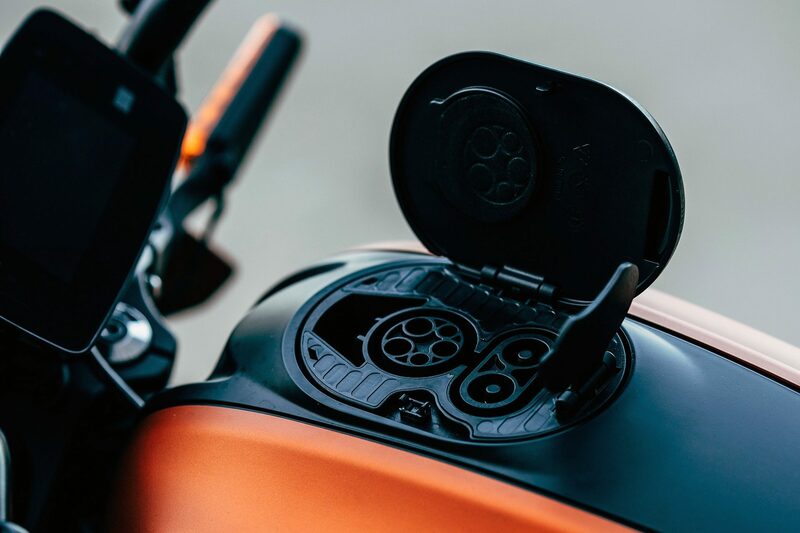 Charging can either be done with a simple Charging Station 1 charger that can be plugged into a simple household power outlet or charged to a Charging Station 2 or 3 at a public charging station at all H-D dealers selling LiveWire. The LiveWire is powered by a permanent magnet electric motor mounted on the lower part of the bike. The engine also involves, in its development, generation of a sound that increases in tone and volume with increasing speed. The drive, which is housed in an aluminum frame, is specially emphasized on this bike. The EV powertrain is designed to require minimal maintenance. 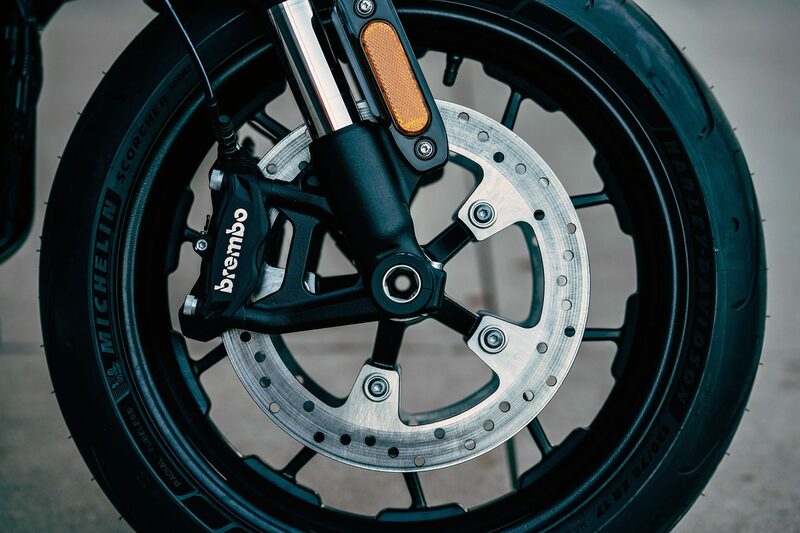 The Brembo front calipers grip the 300mm brake discs. The bike is fitted with 17-inch Michelin sports tires as standard. A new TFT (Thin Film Transistor) promises a bright and easy-to-read display. Music and GPS can be controlled via a modern infotainment system with touch screen and Bluetooth function. 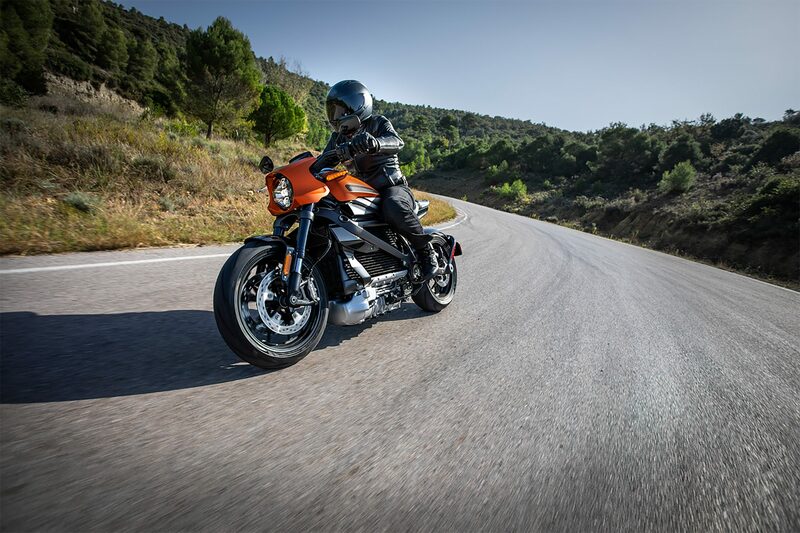 The shown bike comes with new Michelin Scorcher Sport tires in 180/55 ZR17 and 120/70 ZR17 dimensions and 2CT+ technology, that combines a hard center with soft tire shoulders to achieve good stability, grip and wear attributes. 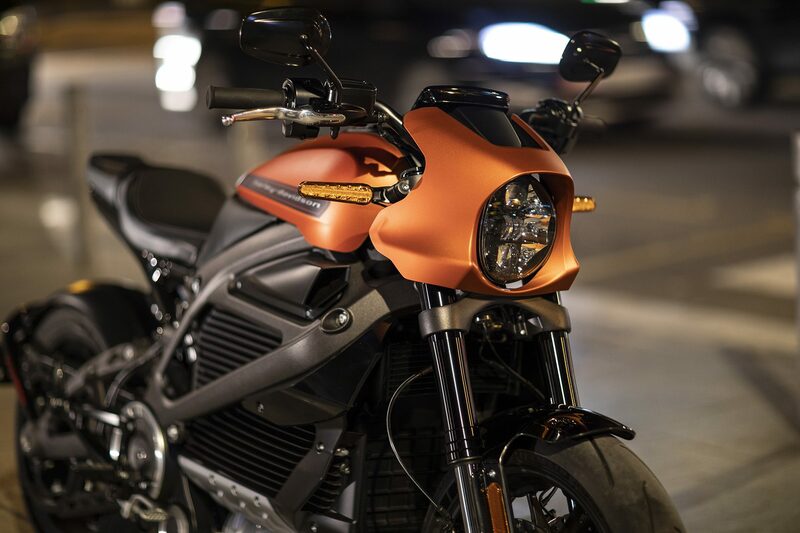 If you want more information about the LiveWire, you can find more interesting pictures and videos on the bike at the Harley-Davidson website or Facebook site. You can also read the latest news about the LiveWire on Google News. With the Harley-Davidson™ Connect Service you can download the latest version of the Harley-Davidson App to your smartphone. Via Panasonic® telematics you can connect to your bike via the mobile network. Data such as the charging status of the battery or the location of the bike can be easily checked. Safety warnings are also sent if the machine is manipulated, moved or started. **The H-D™ Connect Service will not be available in all markets. Availability on the market will be announced in August 2019. The LiveWire will be available in three different paint finishes, two of which have been specially developed for this model. Yellow Fuse and Orange Fuse are the two finishes that give the impression of anodised metal. Of course this model will also be available in the typical H-D colour Vivid Black. When can I buy a LiveWire™ model? The launch of LiveWire™ is planned for 2019. Pre-orders are possible from February. Deliveries will take place in August 2019. 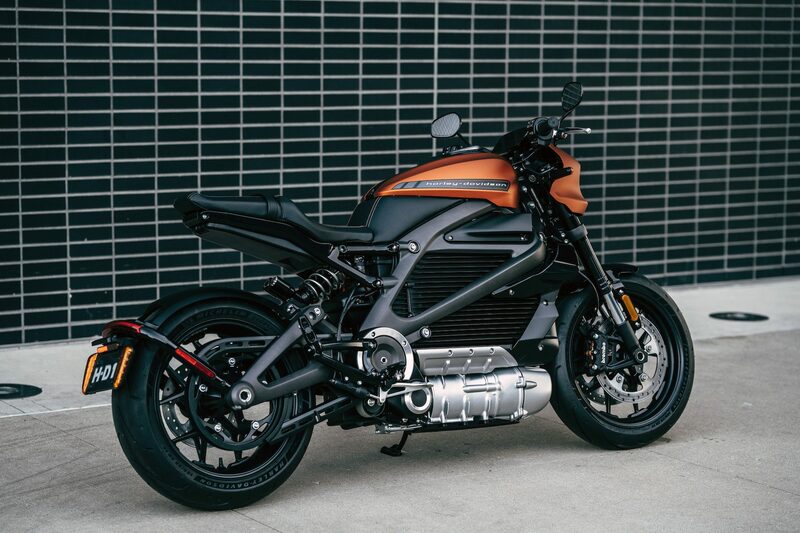 Will all Harley-Davidson® dealers sell the LiveWire™ model? Current plans are for the LiveWire™ motorcycle to be available in select dealerships through North America and parts of Europe in 2019. We at Thunderbike are currently reviewing the necessary requirements as a new “e-base”. What is LiveWire™ model MSRP? The model is 29.799,00 US-Dollar (approx. 26.029,72 €). What is the range of the LiveWire™ battery? 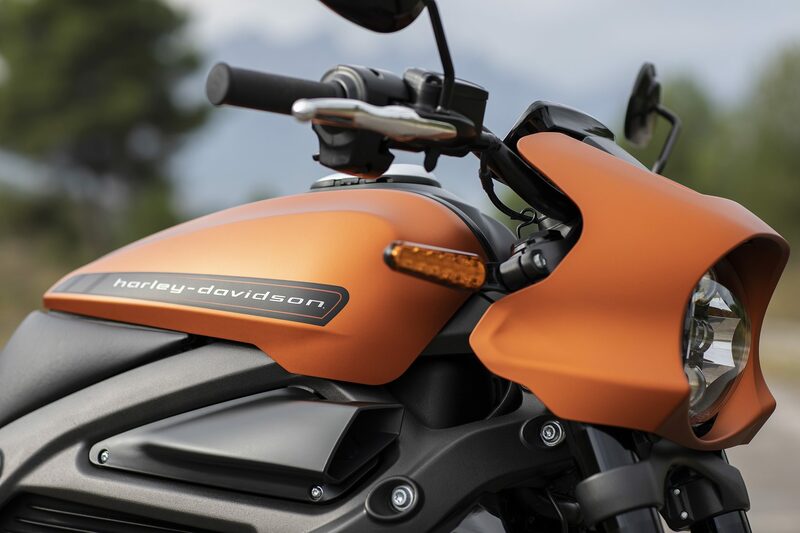 Harley-Davidson gives an estimated range of 110 miles (177 kilometers). The actual range will of course depend on several factors. 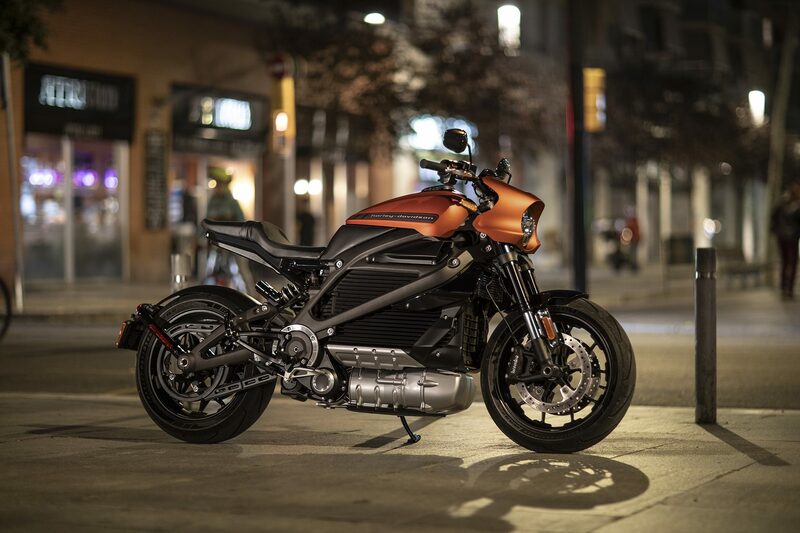 Harley-Davidson intends for the all-new LiveWire™ motorcycle to be followed by an exciting portfolio of two-wheeled electric vehicles. 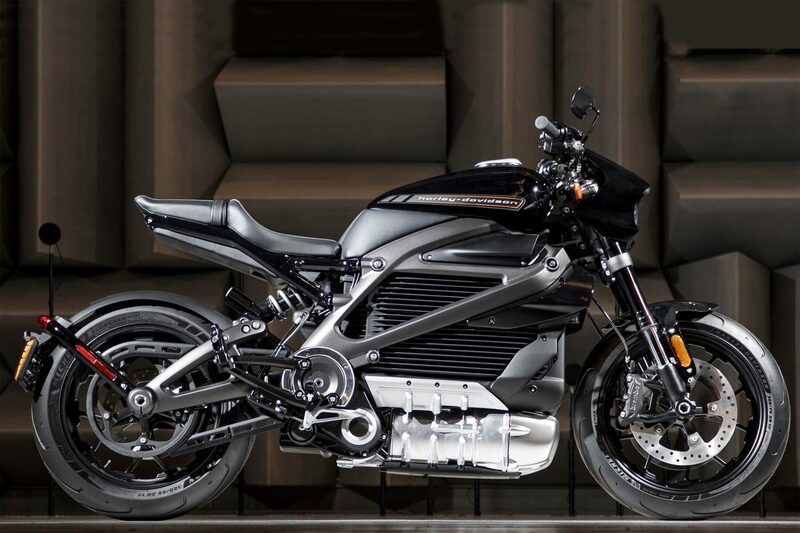 Project Livewire™ was an electric prototype model created in 2014. Harley-Davidson allowed real riders to test out the motorcycle across the world, and feedback was collected on the experiences and features of the motorcycle. This input was then used to refine the development of the all-new LiveWire™ motorcycle – a next generation electric motorcycle that builds on the performance of the original prototype. We were very surprised when we were invited to test the prototype of the LiveWire at the Hockenheimring. Of course you should not miss out on this opportunity. 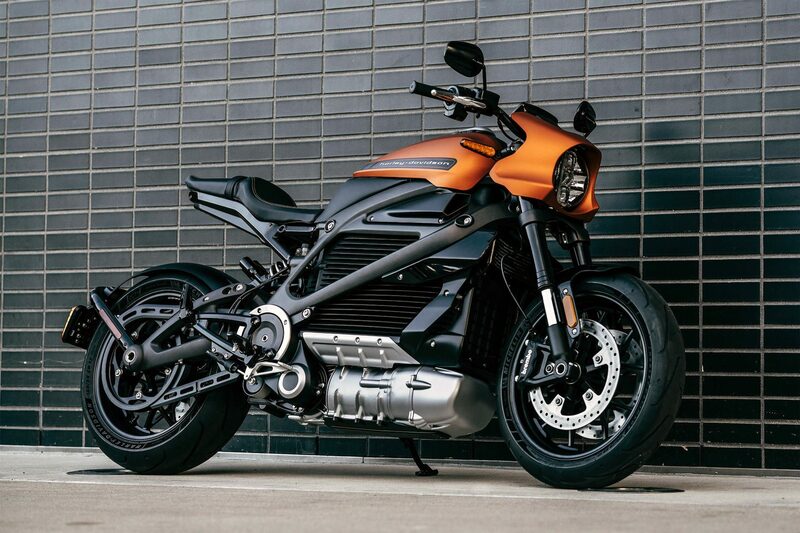 Harley-Davidson produced a total of 50 LiveWire prototype models and sent them in 2015 for over a year on world test trip. 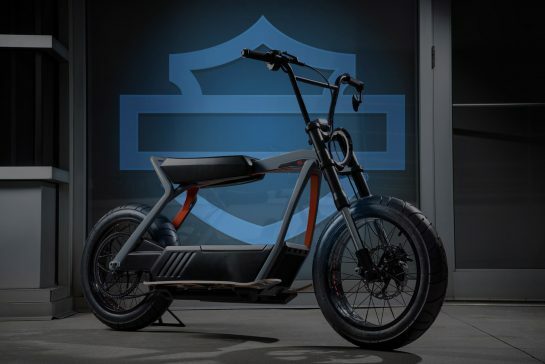 Of course, if you’ve always been used to the feel of a Harley-Davidson with up to 300 kilograms and a bubbling engine to exhaust system, the first ride on an electric motorcycle is very strange. But I have to say that the modern naked bike design is thrilling from the beginning. The Live Wire offers the die-hard Harley rider a whole new ride. 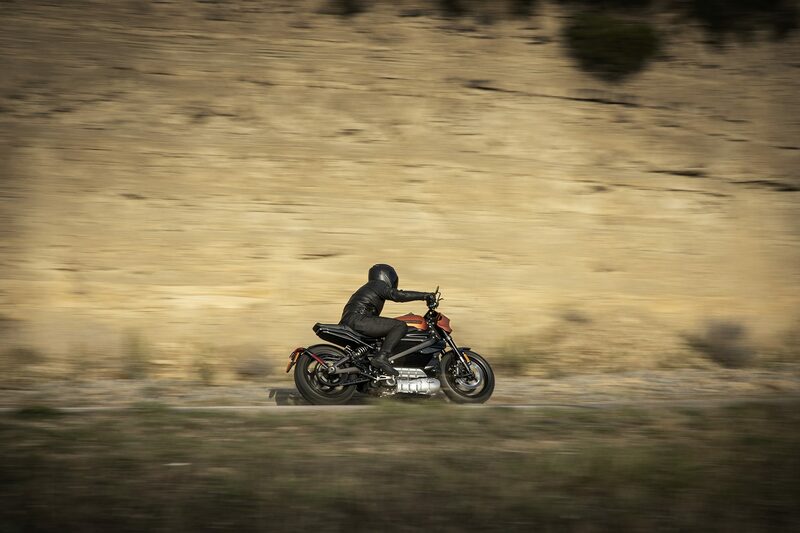 The combination of sound and permanent power make the electric motorcycle easy and uncomplicated. You quickly forget the feeling of having to operate clutch and gear and you enjoy the smooth driving. The tilting freedom is of course unbeatable on such a lightweight bike. My conclusion of the whole: Harley-Davidson is not only a heavy iron, but can also shine in the spirit of modernity with consistent performance and ease of movement of an electric motorcycle. We are still looking forward to details about price and performance.